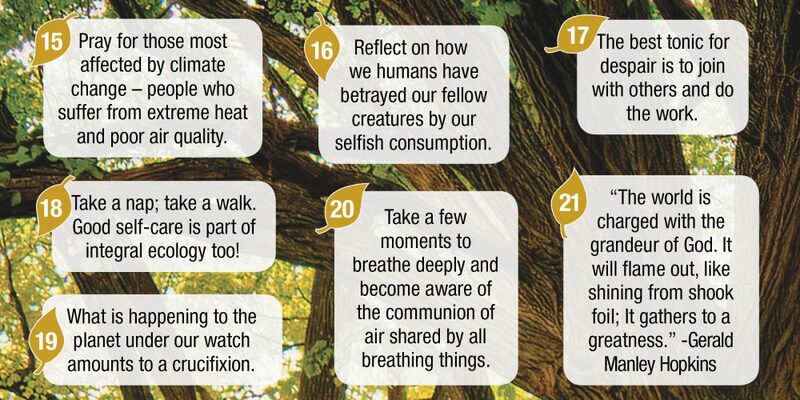 The Catholic Climate Covenant invites communities of faith to engage in the efforts of eco-justice thought this month of April. Grounded in scripture, Catholic social teaching, and Laudato Si, this year’s Earth Day and Earth Month program will help mobilize the Catholic community to take urgent action to protect all of God’s creation. This year our attention is being drawn to BIODIVERSITY. The diversity and the populations of the species around us and upon which we depend are declining at alarming rates. However, we can act to protect our species, through our individual actions, our communities, nationally, and globally. 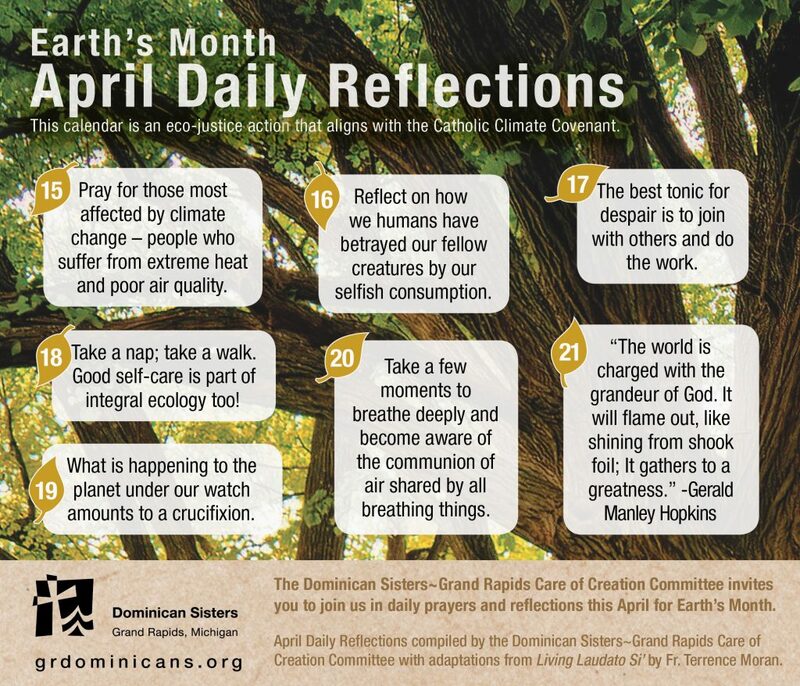 Through the Care of Earth Committee, the Dominican Sisters~Grand Rapids and Dominican Associates invite all To Pray. To Contemplate. To Act. 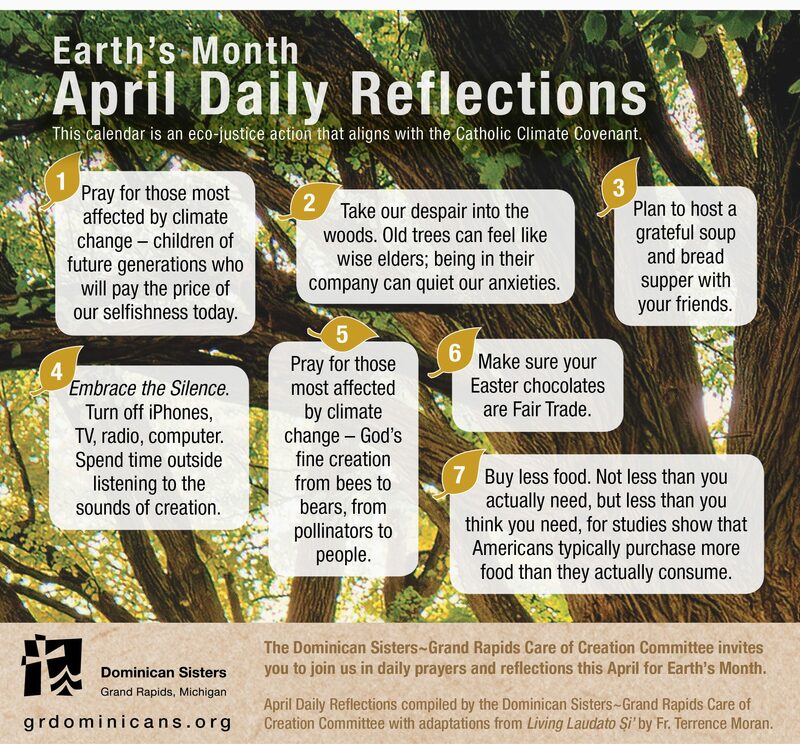 This week we introduce a Daily Prayer Card with prayers and reflections for each day in April. 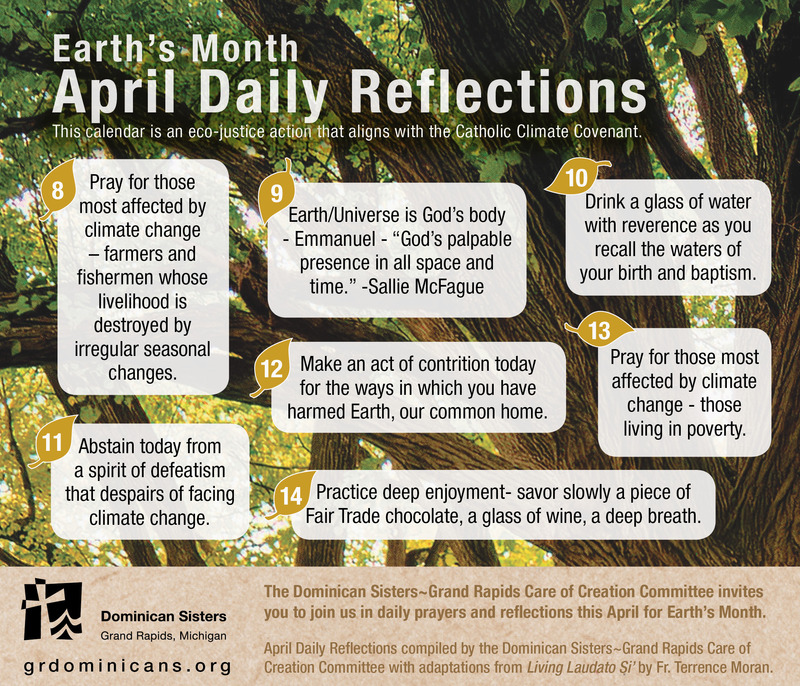 Here are the first 14 days of our April Daily Reflections. Please check back for subsequent days. You can also follow along with us on Facebook.